Anatomicals is a British Company, or like they say, a washing and bathing brand that "only wants you for your body". 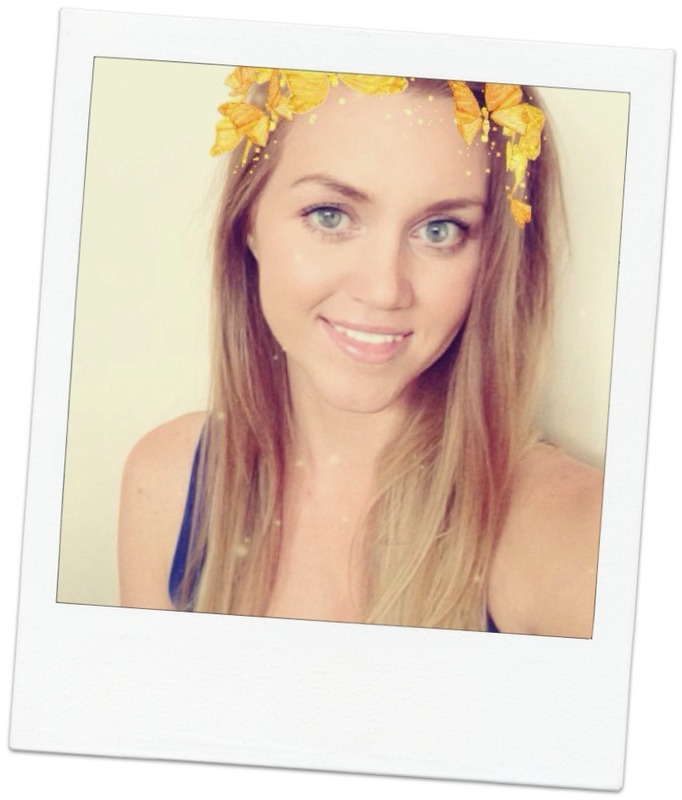 Their products are free from animal testing and also paraben free. So far, so good. 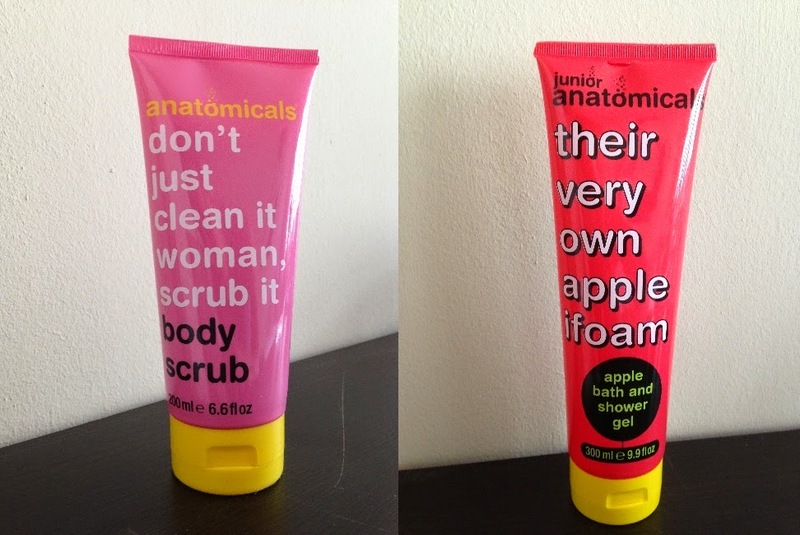 The main thing why you should check out Anatomicals' products though, are the product names. But doing some more reading like the "about us" section will definetly make you laugh just as much. 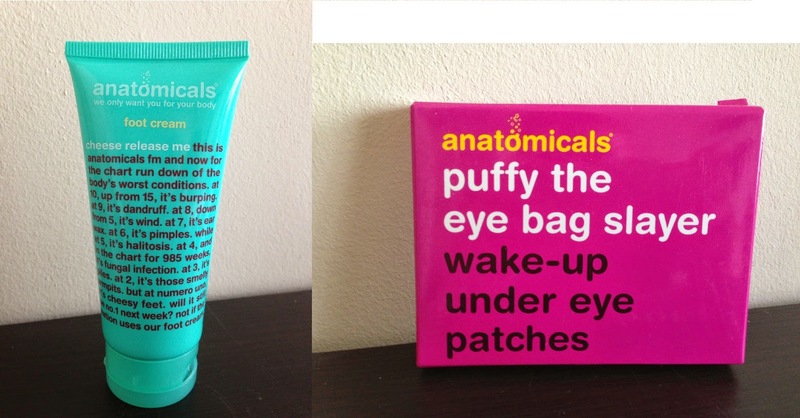 I got my first Anatomicals product in my Glossybox. It was the "you need a blooming shower" body wash. I gave it to my sister because she loved the smell and forgot about it pretty quickly. In another Glossybox they gave me "puffy the eye bag slayer". When I was thinking about an unusual birthday gift for a friend, it didn't take my long to decide on Anatomicals. Google led me to Asos when I typed in "puffy the eye bag slayer". I didn' remember the companie's name at that time so I went for it. If I had invested more time in research, I would have ended up at their actual homepage and bought a lot more than I did. Of course Asos' selection is limited. Don't knowing all about it saved me some money in the end. A few days later I went on two of their websites (Anatomicals.com.mt and Anatomicals.net) to take a closer look at the brand and had the best time I have ever had on a companie's homepage. Their product names are so funny and ful of wit. You definetly need to check it out yourself!